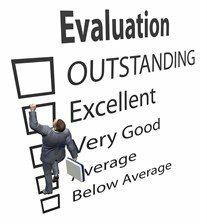 Performance Reviews that actually work!!! 1. Role clarity – A performance review that not only reinforces the direction of the business, but the role that each employee plays in this is critical for employees to feel a sense of worth and importance to the business. 2. Feedback – We should not shy away from providing both negative and positive feedback to employees, as long as it’s constructive. Even negative feedback is far more motivating than no feedback at all, which leaves employees constantly questioning their performance. 3. Career and development – One of the biggest drivers for retention and engagement is that all employees have a sense that their skills and role within the business is continually developing. Employees that believe their career to be stagnate are the employees that most need your support, ensuring the performance review focuses around honest discussion about career objectives and potentials, and most importantly, a plan of attack to get there. 4. Values – The culture of your business is underpinned by both the values that are demonstrated and not demonstrated in practice. Ensuring a good culture is key to maximum employee performance, meaning all employees must aware of the values and behaviours expected of them. For a free consultation or review of your bonus or incentive schemes contact Talent Code at info@talentcode.com.au or 1300 559585.